Do you have a septic tank riser? Surprisingly, this helpful addition is missing from many septic tanks, especially older models. Read on to discover how a riser can save you time and money. What is a Septic Tank Riser? A septic tank riser is a large pipe that runs from the access port at the top of your septic tank to ground level. It provides easy access to your otherwise difficult to reach underground tank. This is particularly useful when you require maintenance work or need an inspection. Professionals don’t have to dig deep into your soil to reach the clean out cover. The pipes are normally made of concrete or plastic and designed to withstand harsh weather. Risers can be anywhere between 8 to 24 inches in diameter. The length is determined by how deep your tank is underground. A lid secures the opening of the riser, making it safe and easy to locate. How Do I Get a Riser? Firstly, you need to locate your septic tank. Our technicians can help with this if you’re not sure where it is! Next, it’s time to dig down to the access port. The lid to the access port is replaced by your new riser. The ground is filled in around the pipe, and a lid is securely placed over the top of the pipe at ground level. Why Should I Get a Riser? Although there are initial setup costs, a riser will save you money in the long run. When you have professionals service or inspect your tank, having an access point saves them time. Saving them time means saving you money. If you’re interested in having a riser installed don’t hesitate to contact us for help. 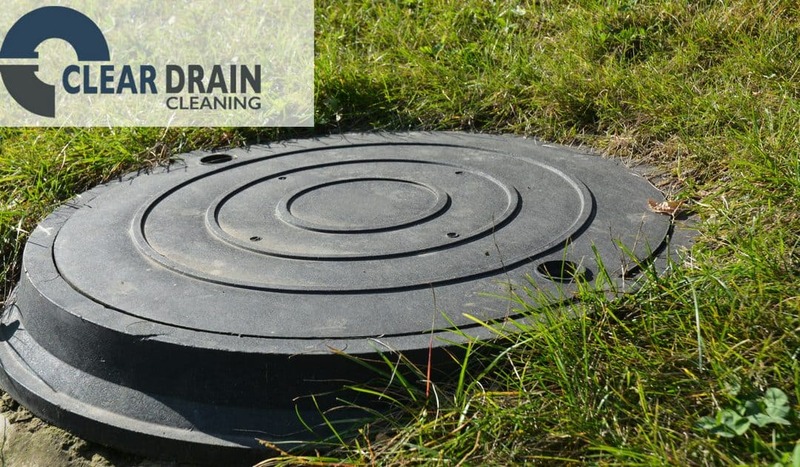 Clear Drain Cleaning is a local owned company that specializes in residential and commercial drain, sewer and septic services such as electric drain cleaning and hydro jetting. Our tools and methods are safe, reliable and fast. We’ll have your drains, sewage and septic systems clear and running smoothly in no time! We proudly serve Holmes County, Wayne County, Tuscarawas County, Coshocton County, Stark County, Ashland County and Carroll County. Contact us today and Like Us on Facebook!